We have in consignment 3000 bottles of 35 Kg in the market and over 1,000 tanks. Over 10,000 tons of propane are distributed annually. 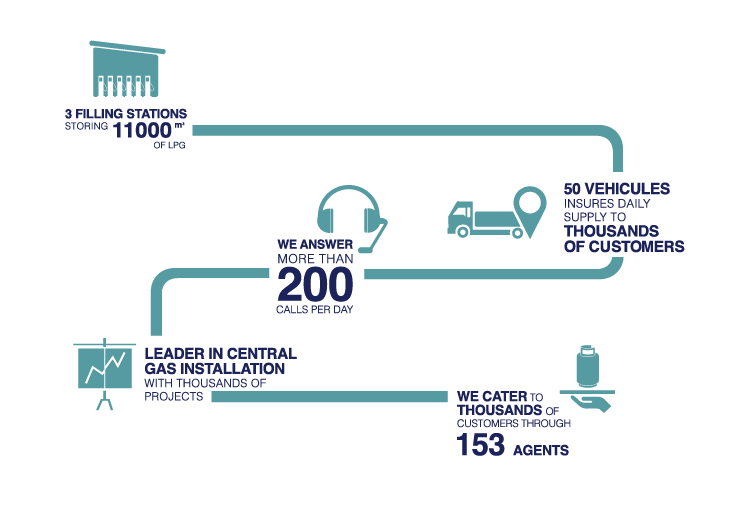 Leaders in the market, we cater to thousands of customers through 153 agents and our ex-factories cylinders sales. We sell over 1,000,000 bottles of butane and propane per year.